Australia has really been killing it this year so far, as bands like Arcane, Hibernal, Transience, and Chaos Divine have released stunning prog albums that will surely be making year-end lists. 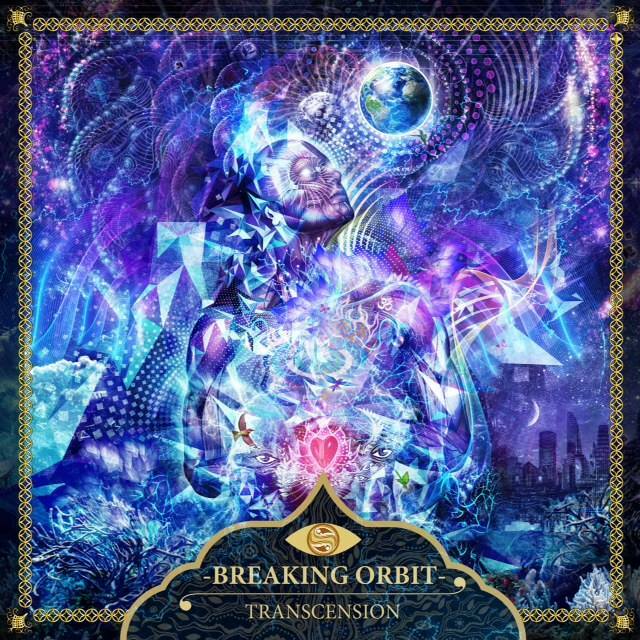 One of my favorite Aussie bands, Breaking Orbit, has finally broken their silence since their absolutely mind-blowing 2012 debut album “The Time Traveller”. Indeed, their debut is one of my all-time favorite debuts from any band at all. You can imagine, then, my excitement when “Transcension” was announced. Does this album live up to its predecessor? Could it? Breaking Orbit definitely has that Aussie prog rock feel. 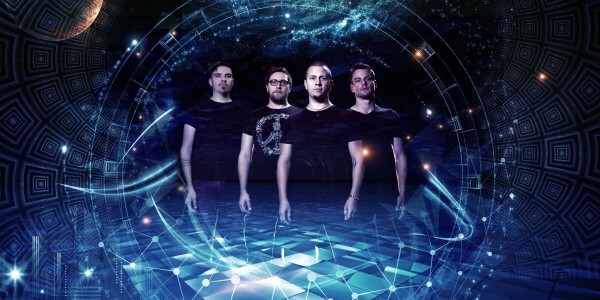 If you are unfamiliar with this style, it basically rides the line between prog rock and progressive metal, often exploring both within a single track, and also featuring plenty of other elements, from alt rock to didgeridoos to immense vocals. Breaking Orbit fits this description pretty well, yet they have a spacey, transcendent vibe that is all their own that usually comes through in the outstanding guitar work, dynamic drumming, and soaring vocals. The band consists of Matt Quayle on lead vocals and guitar, Ayden Mitrovich on bass, Mark Tyson on drums and viola, and Dylan Mitrovich on guitar, percussion, and programming. Each of these guys really impresses me here. Matt’s vocals are some of the best out there right now, and he can hit a killer hook that will leave your knees melting. Ayden’s bass is a rumbling, unstoppable mass that combines with Mark’s deft drumming to great effect. One of the my favorite things about Breaking Orbit is the gorgeous guitar and percussive elements. Matt and Dylan combine their guitar talents to provide plenty of alternative rock style chugging, but also towering guitar lines that really do feel cosmic in origin. Dylan also provides the awesome percussion that, honestly, could have been showcased more, but I’ll take what I can get. “Transcension”, as an album, is slightly weaker than “The Time Traveller”. I have to say that, but I must also point out that the difference is minimal and the latter album is a masterpiece in my opinion. What that leaves, then, is “Transcension” as one of my favorites this year so far. One of the ways it does best the debut is in the sheer quality and completeness of each track. In addition, I would daresay that hooks here are stronger. Songs like “When Isis Starts to Cry”, “Become the Light”, and “The Glitch” feature hefty hooks that pack one hell of a punch. If a song doesn’t have that hook, it instead features an addictive guitar line or a percussive section (“Another Race”) that makes the song very memorable. Some tracks have both, such as my favorite, “Namaskar”, with its fantastic ascending guitar lines and beholden vocals. Really, every track here is worthy of the Breaking Orbit name. Other favorites include the single “Become the Light” with its awesome riffing, “Transcension Pt. 2″ with its delicate chorus, and “The Glitch” with its remarkable vocal lines. All in all, “Transcension” is certainly a more mature album than its predecessor. This includes not only the music, but the lyrics also. The album focuses on the light in each one of us: our potential to be something truly great if we would simply unite; if we could simply transcend differences and circumstances. There is a certain spirituality to this album, but not in the traditional sense. No, it is more of a grandiose, ethereal spirituality that will certainly have you gazing at the heavens. Musically, this album is more structured, features better guitar work, and contains some wildly good lyrical content and hooks. While not as groundbreaking as their debut, it certainly builds on the past in awesome ways. This album has had me hooked for the past couple weeks, and it’s only getting better. Like anything worth its salt, this album takes some time to sink it. Oh, and it sounds incredible on a huge sound system, as there is a deep amount of delicacy and finesse in these songs. Whichever way you hear it, though, be sure you don’t miss this album.